Wrestling 2 the MAX is the official pro-wrestling podcast of W2Mnet.com. Where Sean Garmer, Gary Vaughan, and Paul Leazar discussing all things pro-wrestling twice a week, every week. These three friends from Dallas, Texas bring their humor, chemistry, and passion for wrestling in everything they do. On Tuesday morning's, we cover ROH, and the news that's happened over the weekend. If a New Japan Pro-Wrestling PPV or house show happened over the weekend, we cover that on Tuesday as ... Más informaciones well. On Friday morning's, we cover Lucha Underground, Impact Wrestling and any news that's come out. We end each Friday show with our Top 5 W2M Power Rankings and decide a Superstar of the Week from that. When there's a WWE PPV on Sunday's, or a New Japan Pro-Wrestling show, don't worry, we got that covered as well with our own version of a Reaction show, right after the PPV ends, bringing in guests, callers, and of course I thoughts on the show as well. 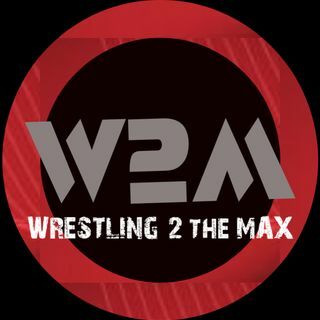 If you enjoy the show and want to discuss it with other W2M fans, join our Wrestling 2 the MAX Facebook group, and follow us on twitter @W2MSean, @W2MGary, @hailtothechimp7 or the whole network @W2MNetwork. You can also go like our W2M Network Facebook Page and the W2Mnet Instagram as well.